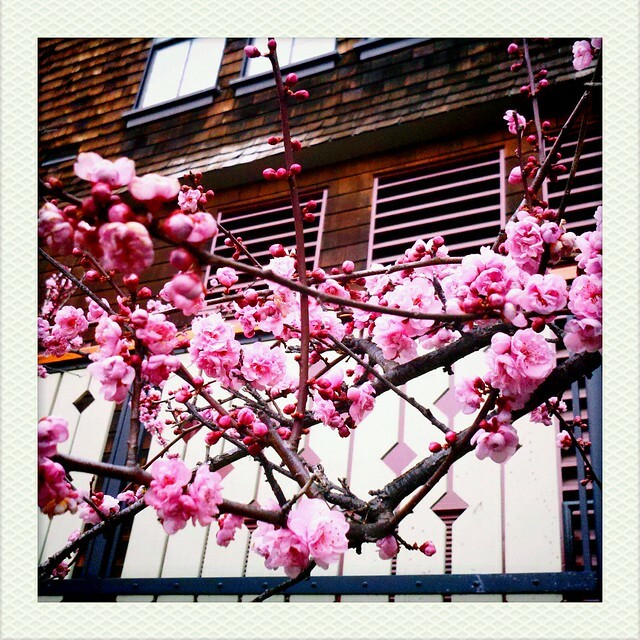 Here's the thing I really love about spring. Because, while there are a million things I love about spring, there's really one thing I really, really love about spring. 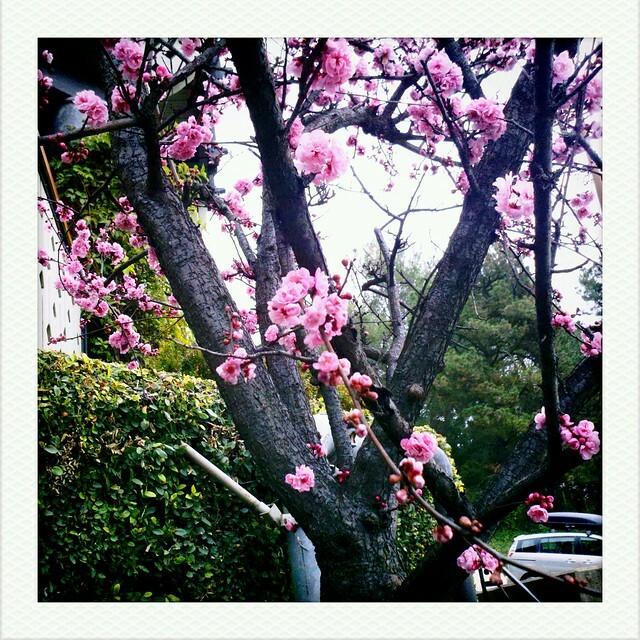 I love that spring starts, somewhere (anywhere) with a single blossom. And from there, it expands exponentially, exponentially, exponentially still, into a symphony of blossoms & shoots & new growth, coming out of the ground, out of trees, into our desperately dull-looking winter world. And all of a sudden, it's like the world has exploded into something unspeakably gorgeous, and all you can do is smile at the sky. At least, this is how I view spring. Typically, the area where I work in Berkeley experiences this full scale explosion in February. Today I went on a recon walk around north of my office, to the places where I know every detail of which trees bloom where, and when, and where the grape hyacinth will pop up, and where the field of daffodils is about to go insane, and where the tulips will be in March & April. I've been around this place for so long, taken so many photos, taken so many walks on these same streets that I know their foliage patterns like the back of my hand. And I take great heart & comfort in that. 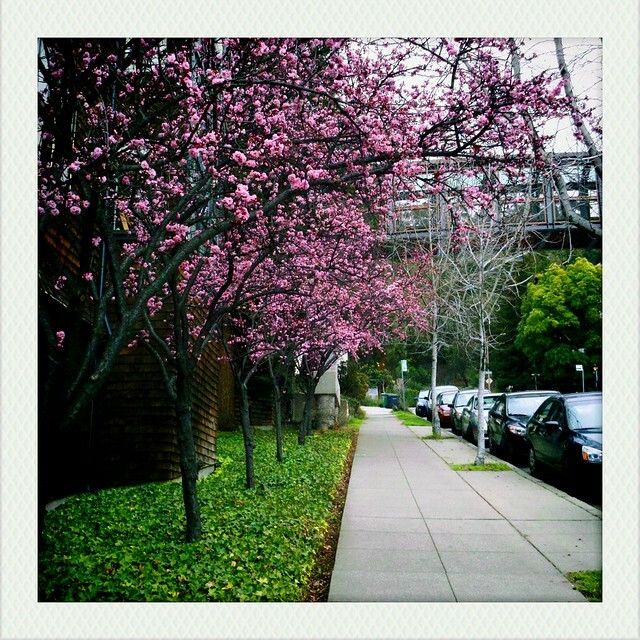 Today's walk showed great promise; many trees are starting to blossom, pink & white hues, dotting each side of the street. I even caught a few of the early daffodils in bloom on the daffodil hill (there weren't any last week!). I can see that spring is officially happening now, and like an avalanche, it's only a matter of time, maybe a week, before it's absolutely unstoppable. 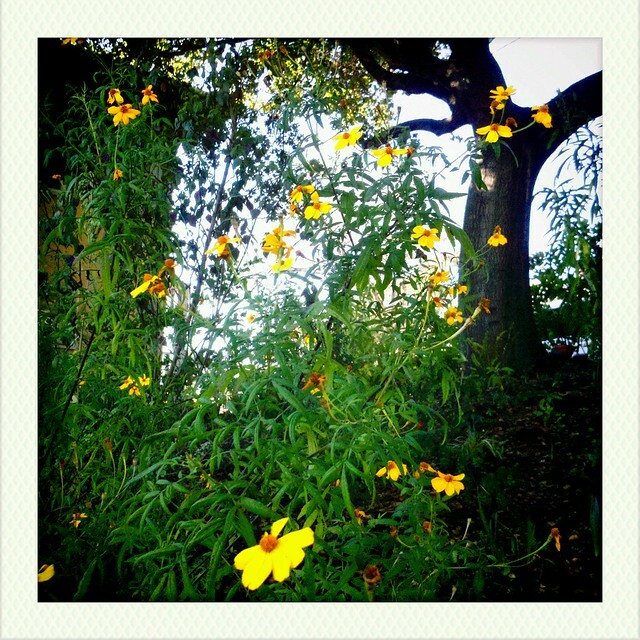 What I see is earth on the verge of a cacophony of beautiful, gorgeous life. Those who know me well know just how much I adore spring. I am so happy right now. It breathes life not just into the earth, but into the humans who inhabit it, as well. I am really caught up in spiritual/universal energy, as well (which I think I've mentioned here before), and I think we're due for an infusion of positive energy. I would say that your overall climate dictates when your spring explodes more than the specific weather pattern of a given year --but that's just a guess! Keep me posted! !